Photos of Jacob and Sophia Haish courtesy of the Joiner History Room. 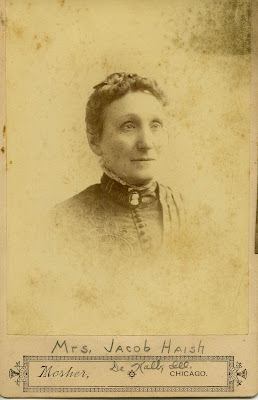 Sophia Ann Brown was born March 10, 1828 in New York. She was the daughter of Thomas Brown, a farmer in the Naperville, Ill. area. 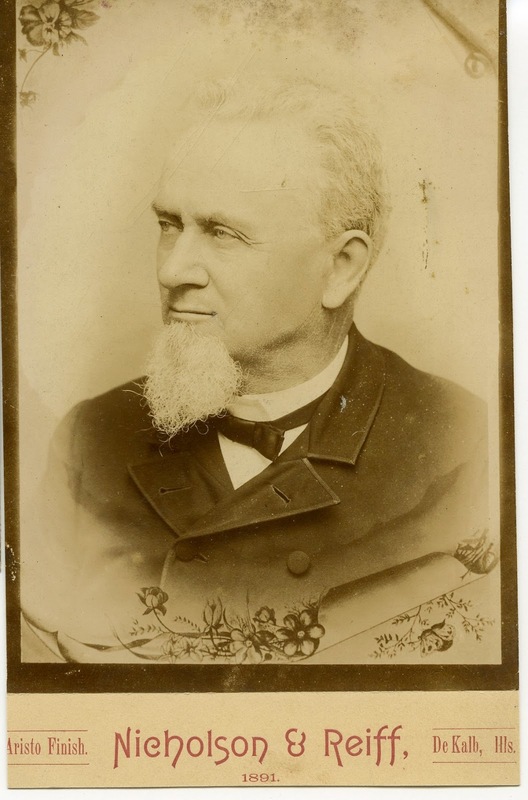 Jacob and Sophia were married on May 24, 1847, in DuPage County, Ill. According to a Jan. 26, 1924 DeKalb Chronicle article, "He had been much attracted to Sophia ... during the year he had worked on her father's farm, and their friendship grew into a love that made their married life an ideal one." They would live on the Brown farm for the first two years of their marriage before moving to DeKalb County. Not much is known about Sophia, especially in comparison to her husband. However, her obituary, printed in the Sycamore True Republican on Sept. 11, 1918, said her philanthropies to the community were many. The Jan. 26, 1924 edition of the DeKalb Chronicle states "Mr. Haish says there were two times in his life when he was particularly fortunate. The first was when he was married, and the second was when he moved to DeKalb. One of the beautiful features of his life has been his devotion to his wife while she lived."